Hello, all, and welcome to August. We've got our first app sales roundup of the month to get through. It's a respectable size, so browse through at your leisure to see if anything today catches your eye. 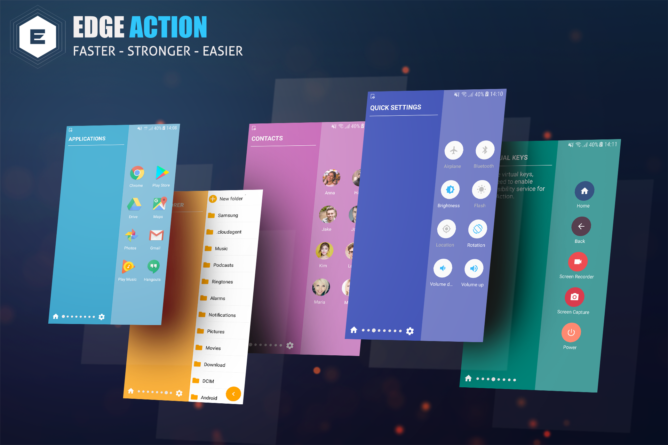 Today's app sales roundup is sponsored by Edge Action Launcher by Edge Action Studio. This launcher brings the sidebar function from previous Samsung Galaxy phones to your device. You have several different panels to choose from, including your list of apps, contacts, calendar, soft keys, and much more. Not only is Edge Action Launcher easy to use and setup, but it brings back one-handed use for all Android phones — you don't need to precariously reach for the back, home, or recents buttons or for the notification shade! If you're interested in an in-depth look, XDA put up a nice write-up a little while back, which you can read here. Download Edge Action Launcher for free via the widget below. And thanks to Edge Action Studio for sponsoring today's app sales roundup.